Most music-lovers typically have most of the classic albums in their collections such as Pink Floyd’s “Dark Side of the Moon” or The Beatles “White Album”. Every so often, however, you find an album that should be in their collection. “Ro Sham Bo” by The Grays is one of those. 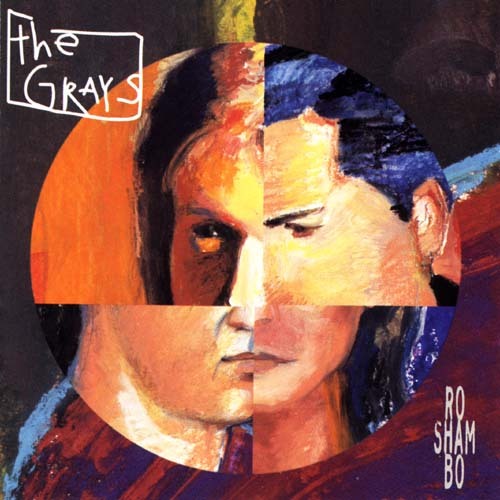 The Grays released their first and only album “Ro Sham Bo” in 1994. The album has a classic rock sound, with polished guitars, incredible production value, and what feels like a cross between The Eagles and The Beatles. The band consisted of Jason Falkner (vocals, guitars, bass, keyboard), Jon Brion (vocals, guitars, bass, keyboard), Buddy Judge (vocals and guitars), and Dan McCarroll (drums). And despite it being the only album they ever released, it has been critically applauded for years. It was produced by Grammy Award-winning music engineer and producer Jack Joseph Puig. Puig also produced albums for U2, The Black Crowes, Weezer, Fiona Apple, The Counting Crows, Stone Temple Pilots, and Sheryl Crow. The album produced the single “Very Best Years” which had minor airplay on the radio. Their music video didn’t get much attention on MTV or VH1 either. I distinctly remember hearing the tail end of it on the radio and hoping for the DJ to announce the name of the band. But as luck would have it I would have to wait until another few weeks, while driving my car, to discover its creator. I immediately bought the CD and still claim it as one of the best albums in my vast collection. Buddy Judge has been establishing himself as a composer for films and documentaries. “Everybody’s World” is a good example of layering and production mixing. The track begins with a grungy guitar that slowly builds into the main theme, much like a film's score crescendoing to the pinnacle of a scene. Something in my brain loves the sound of an acoustic guitar. Jason Falkner’s “Both Belong” proved that a rock band could still function as powerful without the use of a loud electric guitar. Of course I would later be exposed to such classic albums from bands such as The Who and Boston who often used acoustic guitars to compliment the electric lead and rhythm guitars. One of the many things that I love about The Grays is their song dynamics. "Same Thing" is a great example of the band's ability to change their musical emotion and tempo within the same song. Their compositions can start light-hearted and take a dramatic turn somewhere in the middle and come back around to playful melodies. "Same Thing" also showcases their guitar solos which helped strengthen the intensity of the overall piece. Their solos never sound contrived or arrogant; they simply add to the song with technical and emotional skills. It’s rare to find an album composed of songs that feel this established and perfected while maintaining their spontaneity. “Is It Now Yet” (by Buddy Judge and Dan McCarroll): Judge and McCarroll may not have gained as much attention as Falkner and Brion but their contributions to this album made a huge impact. “Is It Now Yet” introduces the album’s more dark sound. 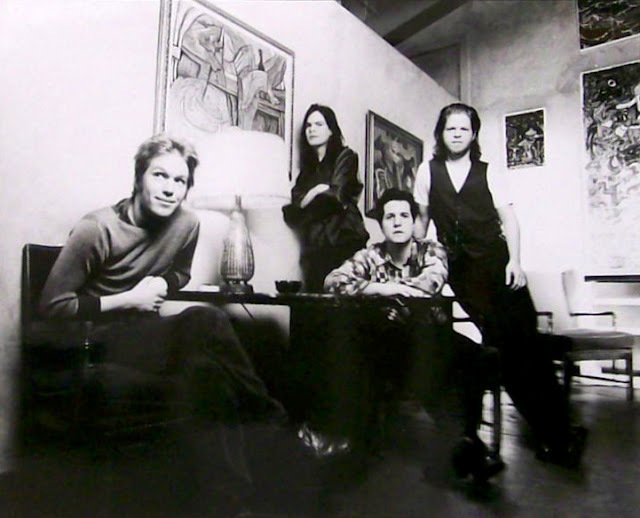 A crude view at life, the song possesses one of the band’s best features: their harmonies. As depressing as the lyrics may be, one can't help but sing along to the harmonic chorus. “Friend Of Mine” (by Jason Falkner): Twang guitars that sound like a modern version of a classic Eagles tune mixed with a typical composition by Falkner make “Friend Of Mine” a side step to alternative music. It’s one of the strongest tracks on the album and yet probably the reason most teens in the 1990s didn’t “get” The Grays. It’s somber and yet aggressive. It may have twang but this is certainly not a country-pop tune. It's definitely ahead of its time and much more grown up than the Grunge music that was beginning to form at the time. Jon Brion could be described as a visual composer and when you listen to the tracks he wrote on this album you can’t help but feel that mindset. “No One Can Hurt Me” begins with a slippery bass line and unusual instrumental elements floating in and out within the background. The acoustic guitar’s main riff slowly strums in and after the track’s long intro the main song begins. This is where the band treads on alternative and progressive music. The individual band members each have had great success. 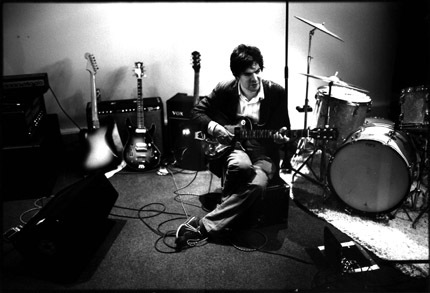 Jon Brion has composed music for several films including Eternal Sunshine of the Spotless Mind, I Heart Huckabees, Punch-Drunk Love, and Magnolia. Dan McCarroll was recently promoted from Senior Publishing Executive to President of Capital and Virgin Label Group in North America. Buddy Judge has composed music for several films including This Is Where We Take Our Stand, Beer Wars, Certifiably Jonathan, and for the DVD of David Fincher's film, Zodiac. He has also recorded with such artists as Aimee Mann, Michael Penn, Liz Phair and The Wallflowers. 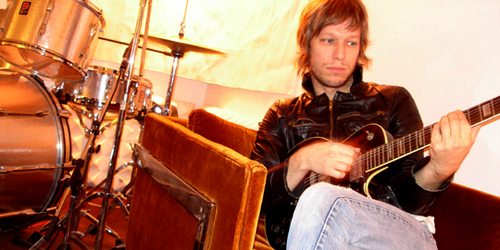 Jason Falkner has gone onto produce several critically successful solo records. He has also performed on albums for several musicians including Paul McCartney, Susanna Hoffs, Beck, Aimee Mann, and Daniel Johnston. 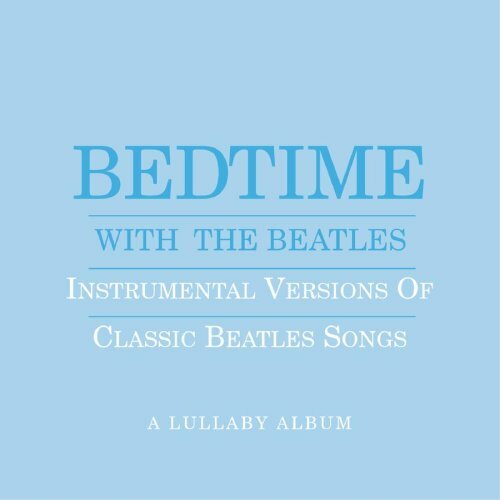 *Side Note: Falkner was approached by Paul McCartney after he heard Falkner's album "Bedtime with The Beatles," an instrumental interpretation of The Beatles music made for newborns. 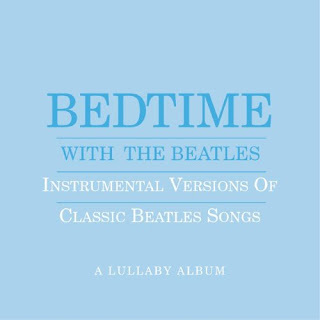 Additionally, McCartney contributed to the followup, "Bedtime With The Beatles Part Two." 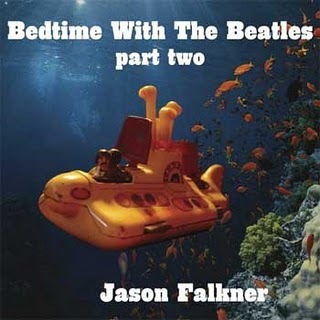 Jason Falkner's album "Bedtime With The Beatles"
Jason Falkner's album "Bedtime With The Beatles Part Two"
Falkner is one of the many artists who have inspired me to experiment with the production of a song. Instead of working with session musicians to play the other instruments, he often layers his own performances to create a band-like sound. His album “Necessity: The 4-Track Years” is an excellent example of his layering. This was made, before digital recording, by use of an analog 4-Track recorder. 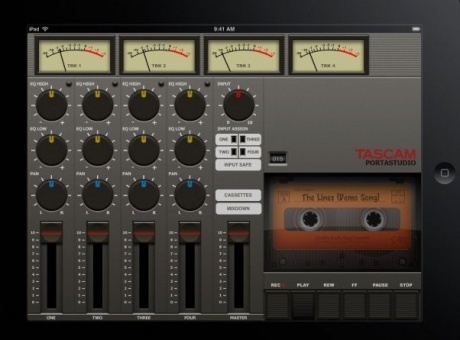 (Falkner used Tascam's Porta One Unit). For those of you unfamiliar with this device, it’s basically a tape player that can record up to 4 instruments/tracks separately. In Falkner’s case, he used the process of sel-sync (selective synchronous) recording which allowed him to record on a separate track while playing back the previously recorded track – hence layering. "Ro Sham Bo" has an experimental feel to it and it could be theorized that these were four incredible musicians attempting to collaborate on a passion project. So it’s a shame that The Grays parted ways because their techniques, though seemingly perfected, had plenty of room for further exploration. I respect them for following their own paths but I can only imagine what direction they would have gone on a follow-up album. It’s unlikely that the band will ever get back together but fortunately we have “Ro Sham Bo” to celebrate. TRIVIA: Grammy Award-winning music engineer and producer Jack Joseph Puig, who worked on "Ro Sham Bo", also produced albums for U2, The Rolling Stones, Eric Clapton, The Black Crowes, Beck, The Counting Crows, and Roger Hodgson (of Supertramp).